Customer expectations are rising at a time when customer service is a significant differentiator within the financial services industry. Customers expect companies to deliver personalized service – i.e., an end-to-end customer experience – that reflects an understanding of who they are, their communication preferences, the products and services they’ve purchased in the past and what they might be interested in in the future. This week, we’ll take a closer look at a 360-degree view of the customer experience. Even as financial services firms work to meet these customer experience expectations, they must also determine how to use and integrate online channels to drive more revenue. 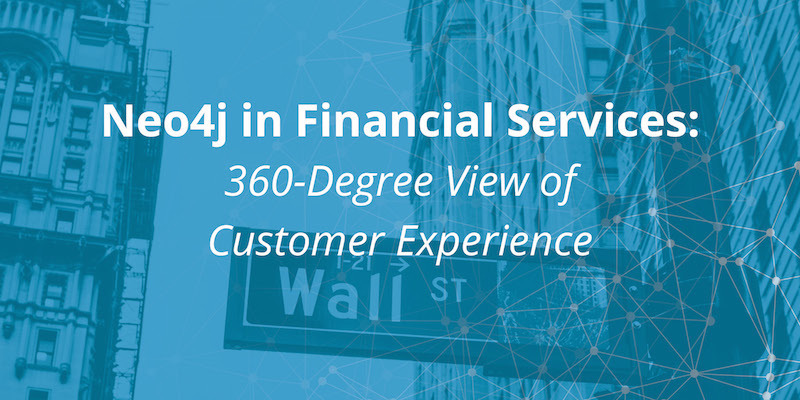 All of these efforts require a 360-degree view of customers, and that’s something most financial services firms simply don’t have. Data tends to be locked away in silos across the organization without any way to leverage the connections between data and innovate based on those connections. Harnessing the power of connected data (i.e., data relationships) is essential to sustainable competitive advantage in today’s ever-more-connected, ever-more-competitive world. When a financial services firm uses Neo4j for Master Data Management (MDM) and a 360-degree view of customer data, new applications tap into the power of a graph database while co-existing with all of the firm’s current data infrastructure for legacy applications. In addition, firms gain a deeply connected view of their data across both old and new applications, enabling them to become more competitive without disrupting day-to-day business operations. This Fortune 500 technology company in the global credit card industry had a number of data silos across its organization, including data around merchant accounts, end customer accounts, transaction logs, authorizations, procurement data, merchant locations and many others. Before using Neo4j, the firm lacked a 360-degree view of partners, merchants and customers. By integrating all of its data silos into a single Master Data Management (MDM) solution powered by Neo4j, the Fortune 500 credit card provider can now gain a fuller and more complete view of how its merchant, partner and customer ecosystems all interact with one another. The integrated MDM database contains over 1 million merchant nodes, 100 million end-user accounts, billions of data relationships and approximately 1 terabyte of storage. With today’s customers being ever-easier to lose and ever-harder to gain (or gain back), it’s essential that your financial services firm make customer experience management a top priority. This evolving approach to MDM puts the customer at the center of your firm’s operations. Using the power of a graph database like Neo4j, your enterprise creates a 360-degree view of customer data with context from all departments and internal applications. And because of its flexible data model, using Neo4j doesn’t disrupt your current infrastructure – meaning you can continue to serve customers without interruption. This concludes our blog series taking a closer look at graph technology use cases within the financial services industry. To catch up with any of the posts you missed, click the links below, or download our white paper to cover them all. Capitalize on connections in your data: Discover how graph technology helps your financial services firm overcome emerging challenges in the industry with this white paper, Addressing Key Challenges in Financial Services with Neo4j. Click below to download your free copy. 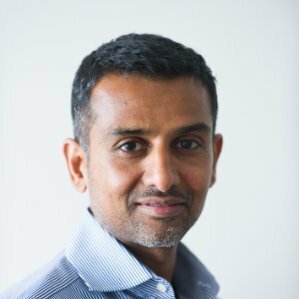 Utpal Bhatt is the former head of global marketing for the Neo4j team.